Learn how to crochet with these handy crochet tips and step-by-step crochet tutorials and see just how easy it is to become a crocheter. Whether you’re looking for specific stitch tutorials or you’re looking for technique tutorials and crochet tips, you’ll find a wealth of information here. See how you can add a fabric lining to your crochet bag, how to crochet the Catherine’s Wheel stitch and even how to finger crochet! 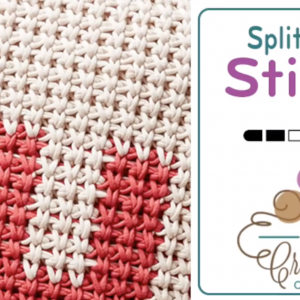 These crochet tips and tutorials are meant for every skill level. Here you’ll also find a variety of individual stitch tutorials as well as helpful diagrams and video tutorials to explain some of the trickier parts. 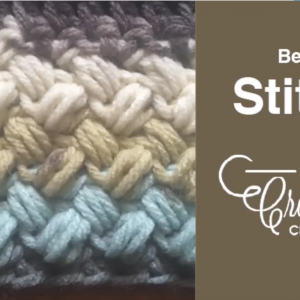 Come learn a new crochet stitch or a brand new technique with us and see how easy it is to become a crochet master! It’s half double crochet (HDC) with a twist! Find out how changing your hook size and crocheting approach can result in a crocheted fabric that’s rich with texture and much more compact than the traditional half double crochet. Michael Sellick for Yarnspirations.com will show you how it’s done. 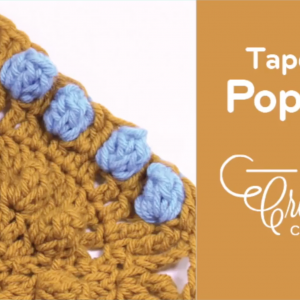 Make your popcorn stitches really pop in this easy-to-understand tutorial from Michael Sellick. 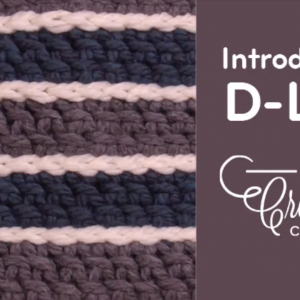 The linked double crochet stitch, also known as the D-Link or LDC, is ideal for creating a tall stitch that’s dense and flexible — unlike its thicker counterpart the single crochet. Learn how it’s done in this simple tutorial Michael Sellick for Yarnspirations.com. Add some comfort, security and warmth to your crochet blankets by applying a fleece backing. 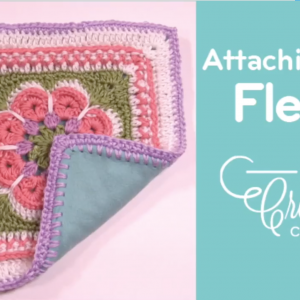 In this final segment of the three-part series, you’ll learn how to attach your bordered fleece backing to your finished blanket or afghan. Add some comfort, security and warmth to your crochet blankets by applying a fleece backing. 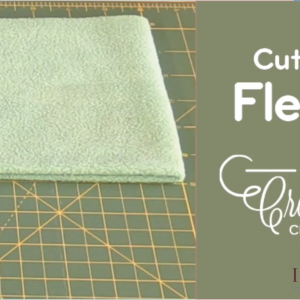 In this second segment of the three-part series, learn how to add a gorgeous border to your fleece. This is essential for creating a piece that looks neat, clean and professional. Plus, what happens if your skip cutter misses a hole, but you’ve already started adding a border to your fleece? Watch to see just how simple this fix can be! 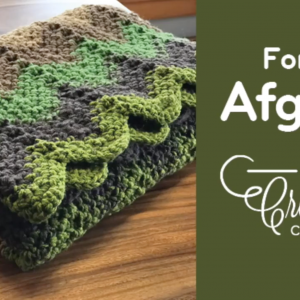 Work up an attractive moss sitch in a chevron shape in this tutorial featuring Yarnspiration’s free pattern, the Forest Wave Afghan. Plus, learn how to line up your colors strategically to create a beautiful marled yarn look. Not familiar with marled yarn? Michael Sellick from Yarnspirations will walk you through it. 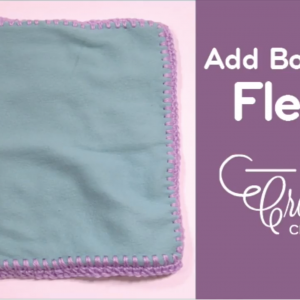 Add some comfort, security and warmth to your crochet blankets by applying a fleece backing. In this first segment of the three-part series from Yarnspirations.com, we learn how to properly cut and prepare your fleece for securing to your blanket. Just completed a corner-to-corner afghan, but not sure how to finish it? 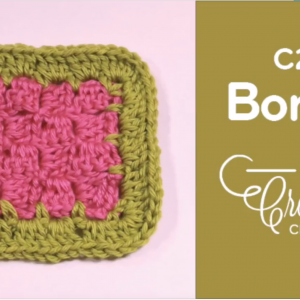 Watch this video and learn how to make a simple, stunning border that will make your piece pop! 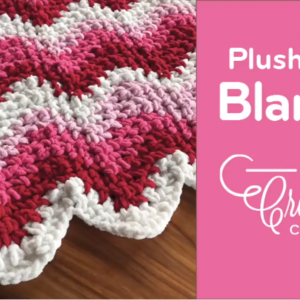 Plus, ever have problems with your corner-to-corner blanket not looking like a perfect square? Or don’t know the best way to keep loose ends from falling out of your work? Find out Mikey’s solution to both of these common problems inside this video from Michael Sellick for Yarnspirations.com. Give any project a touch of texture with this dense, compactly woven stitch. It’s thick and warm, making it ideal for all your winter crochet projects, from afghans to hats to scarves. Learn how to tackle the Bean Stitch step by step in this detailed tutorial from from Michael Sellick for Yarnspirations.com.